Another great privilege of interning for multiple semesters was I got to shadow a case with a birth mom named Julie* from the very beginning all the way to post placement. Contact with birth mothers can often end abruptly if birth moms come to Gladney late in their pregnancy, cut off contact with us immediately after they relinquish their parental rights, or sometimes just don't keep us in the loop. With Julie's case, I was there from the initial meeting all the way to her placement. I shadowed Julie's weekly meetings and even led a few myself :) Julie lived in Gladney's Guest House, so I frequently transported her to various appointments and outings. I am so grateful for those conversations while driving. These casual moments with Julie allowed me great practice into communicating with clients appropriately while still demonstrating empathy. During one drive, Julie revealed to me that she had been having dreams about her unborn son. This comment was so personal that initially it made me very nervous. However, I remained cool, calm, and collected. The conversation ended with Julie acknowledging that she loves her son so much and all she wants is the absolute best life for him. Julie delivered a beautiful, healthy baby boy in early June. I was fortunate enough to hold him in the hospital and be there to help discharge Julie and drive her home. I also witnessed Julie's placement where she lovingly handed her son to his adoptive parents. "Take good care of my baby," I remember her saying. It was an emotional, tenderhearted moment that I am so happy I got to witness. It’s birth mom's like Julie who have made me fall in love with the nature of adoption. I could go on and on talking about all the hilarious, crazy, and heart-wrenching stories that happened during my internship. I encountered wonderful birth parents who genuinely appreciate all the services Gladney offers, and I met birth parents who take advantage of Gladney and the Birth Parent Caseworkers. Nevertheless, day after day these amazing caseworkers continue to work to better the lives of their clients. Adoption definitely has its heartaches, but it also truly demonstrates how despair can be transformed into hope. What's next for me? Well, I graduated with my Bachelor of Social Work degree from The University of Texas at Arlington this past August! Yay! Thankfully, Gladney has not gotten sick of me just yet. I'll be staying another semester as a volunteer/intern as I prepare to go to graduate school to pursue my Master of Social Work. The Gladney Center for Adoption helped me recognize a career field where I could satisfy an innate passion for serving children and families. I am truly thankful for all my experiences here; not to mention I am so grateful to every staff member who has encouraged and taught me so much that will help me in the future. Maybe one day I'll be back as a caseworker myself, but until then I will cherish all the special memories I've had. Me and Rachel Cotto, a former Birth Parent Caseworker and now an Adoptive Parent Caseworker. 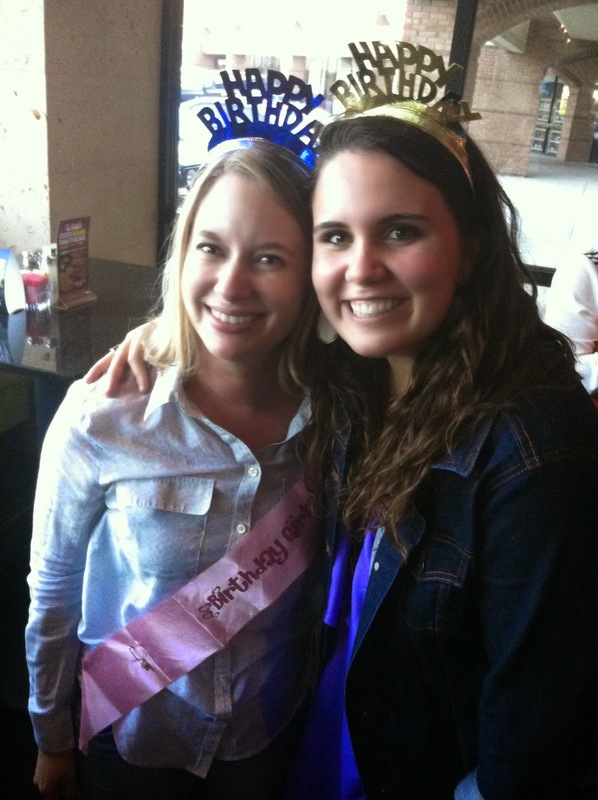 Rachel was my Field Instructor and also happens to share the same AMAZING birthday as me.